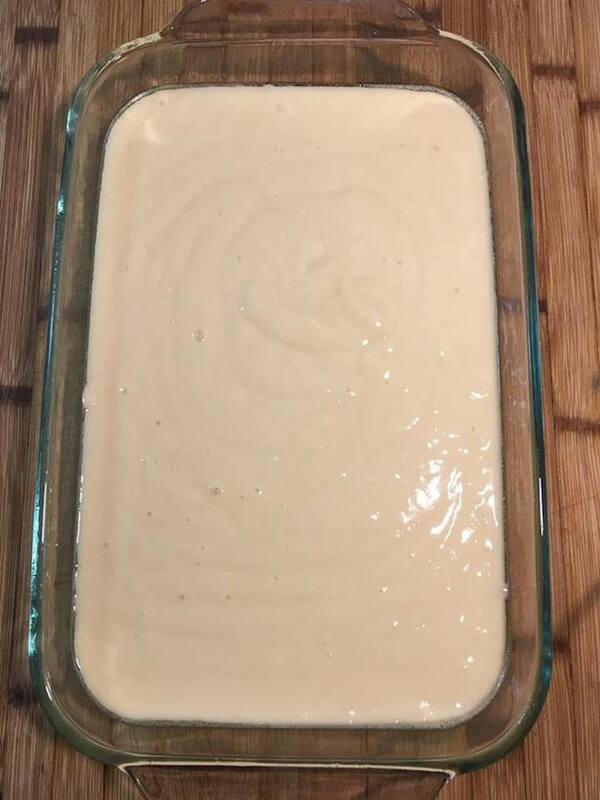 Poke cakes have always been one of my favorites! 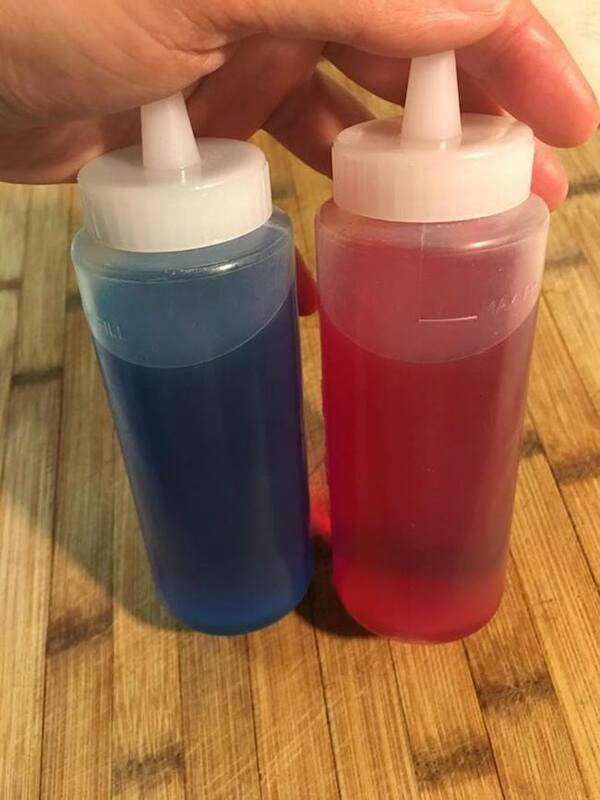 My mom used to make one that I loved because it will filled with jello flavoring, so I wanted to recreate that for my own family. 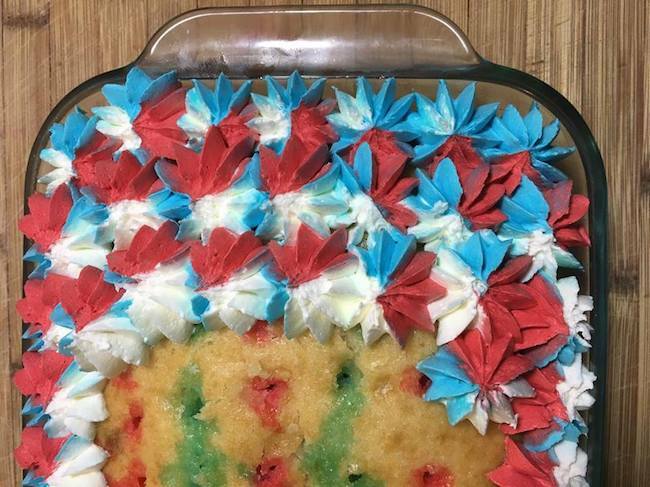 I created this red, white and blue poke cake as a patriotic tribute for a July 4th celebration, and needless to say it was a big hit. Not only for its good looks – but the strong flavors. What is a poke cake you ask? 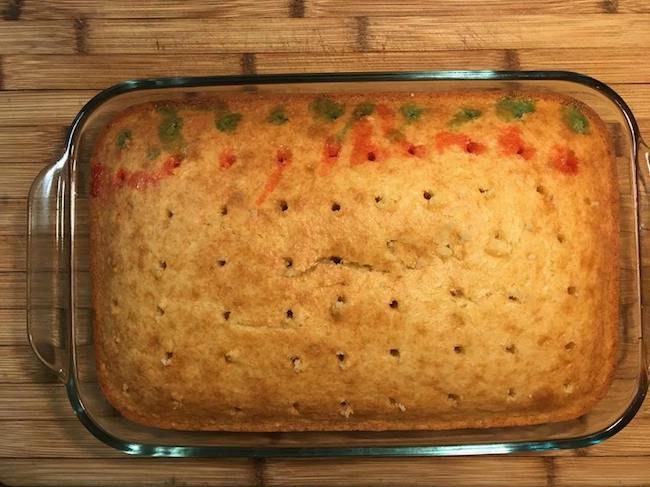 If you are not familiar with the concept of a poke cake – then the name may leave you scratching your head. 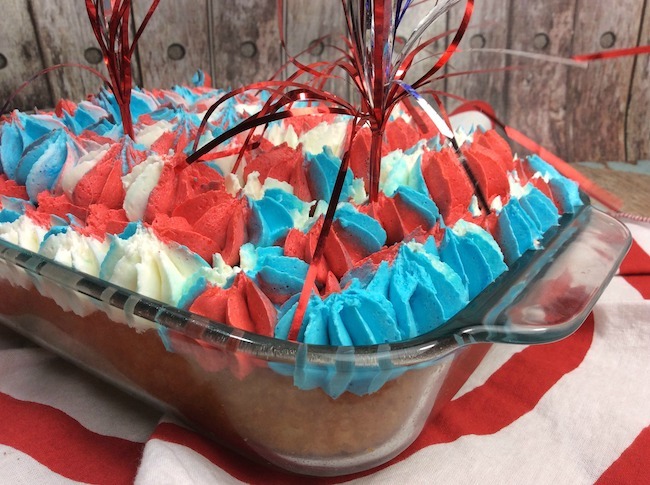 Just like it sounds, a Poke cake is in fact a cake that you will poke holes in after it is done baking so you can fill it with goodies. 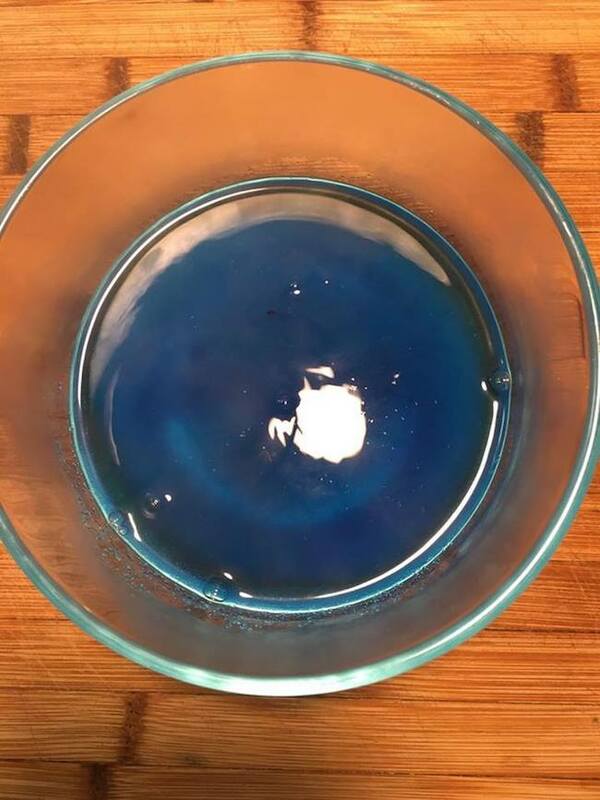 While this one has liquid jello inserted in the holes – you can be creative and experiment! Try pudding, pureed fruit or anything that you can easily squirt into the holes! 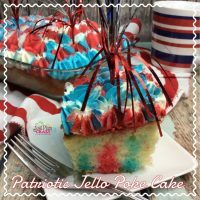 While there are an array of options for a poke cake as noted above, this specific recipe uses Jello as the poke filling. Large cup to put the piping bag in. 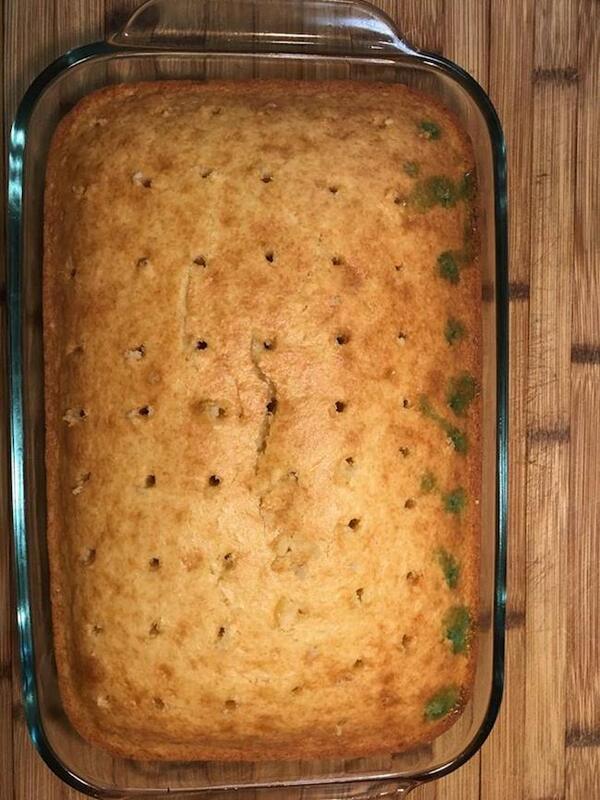 -Once mixed, pour batter into the pan and bake for 25-30 minutes or until a tooth pick comes out clean. 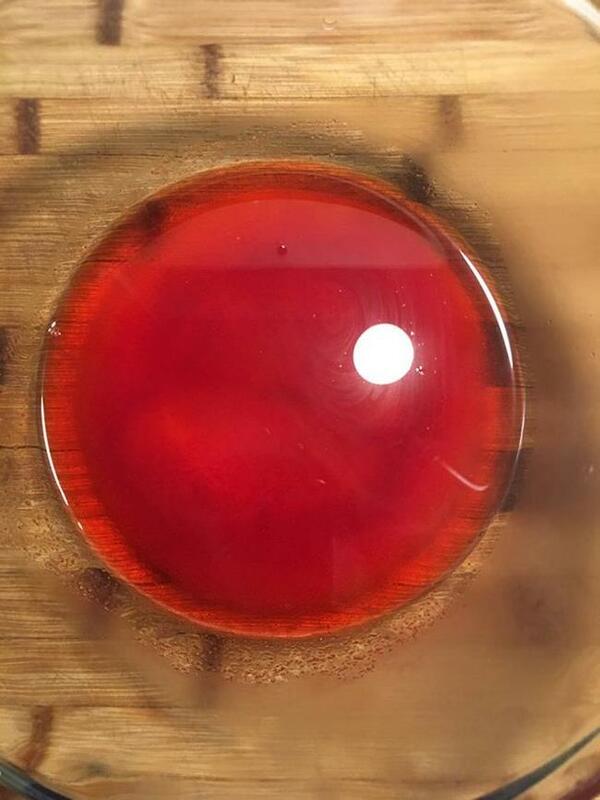 -Place into the fridge for 30 minutes to get a clean slice or serve right away. 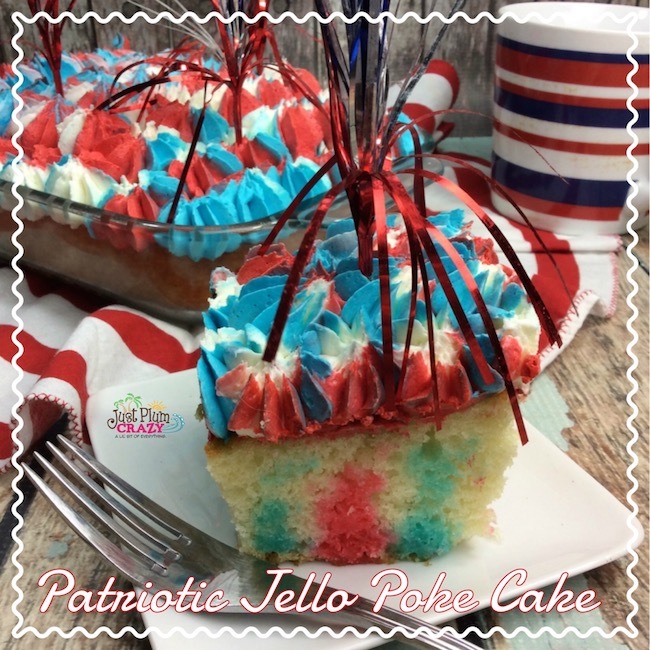 Patriotic red, white and blue Jello poke cake that is perfect for your 4th of July celebration. Place into the fridge for 30 minutes to get a clean slice or serve right away. For this cake you can add some extra elements to really make it stand out! We added some simple streamer like accents in red to give the look of fireworks. But you can use sparklers right before serving or add other decorative accents to give it a more festive feel. 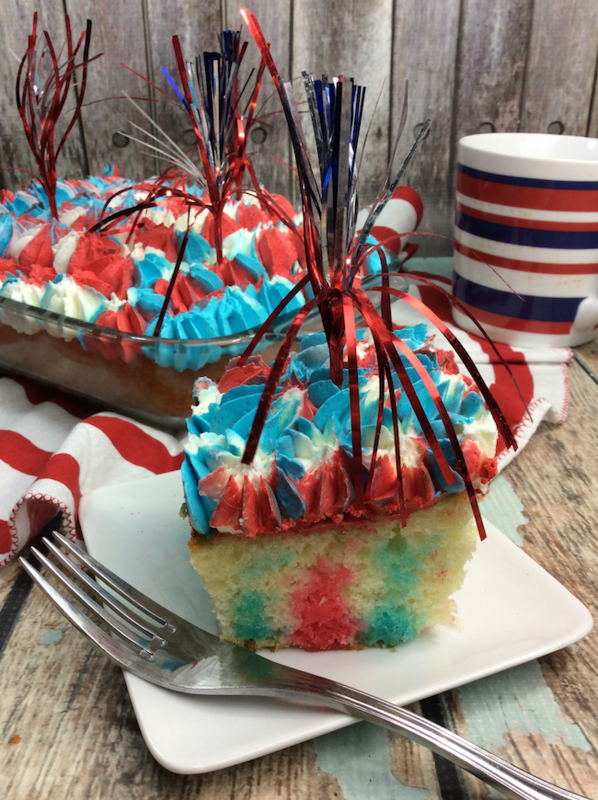 If you are looking for other patriotic inspired recipes you can take a look at our Patriotic Cupcake Recipe or our Patriotic Surfboard Cookies.